A Mask You Need To Try This Month. | By Millie. A Mask You Need To Try This Month. I have been so into face masks this year you wouldn't believe. I seem to have found a new love for them I never quite had before. Don't get me wrong, a good over-night hydrator, or a mask which cleanses out my pores always went down a treat, but other than those two go-tos, I never tried many others. I went on a hunt to find a few new ones to add to my collection, and I came across this Ole Henriksen option which is basically healthy skin in a jar. 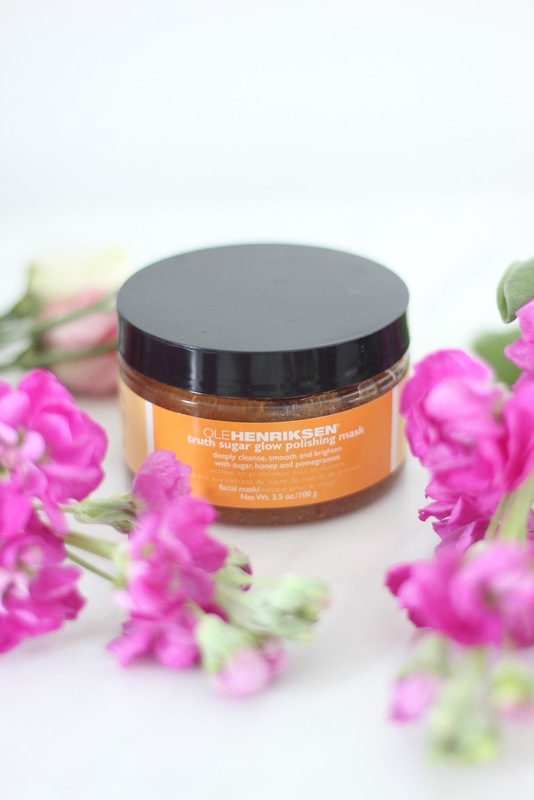 Ole Henriksen Truth Sugar Glow Polishing Mask: When I was looking for a new mask to add to my skincare stash, I was searching high and low for something which was going to make my skin super glowy. I've tried out a few sheet masks which give me that result, but I wanted a mask I could use more than once. This one caught my eye as the name basically sums up exactly what I was looking for. Something that would give me a glow, and remove any dry skin. It claims to deeply cleanse, smooth and brighten, with the help of sugar, honey and pomegranate. I also feel like this has some kind of Vitamin C agent in there, as the smell is absolutely amazing, like a candied orange sweet. Lets get on to how it performs on the skin. This isn't the first product from their range I've tried, so I knew that if it was anything like their Truth Youth Serum, I was on to a winner. It's not your typical mask formula, as it has those sugar granules throughout, so it has a face scrub consistency, so you do feel a but strange not rinsing it off right away. I take a little scoop full and massage it all over my face to really polish away any dry skin. I'm avoiding using the word scrub here, as that sounds very harsh and abrasive, which this mask definitely isn't. The smell hits you right away, and I can tell you you'll want to leave this on for as long as possible as it's such a gorgeous scent. Aside from the sugar, the mask is a gel formula, very reminiscent of honey, but less sticky. I tend to leave this on for about 15-20 minutes to really let the rosehip oil and pumpkin extract work their way into the skin. Once the times up, I'll rinse away with warm water and facial cloth and my skin has never felt so soft and glowing. 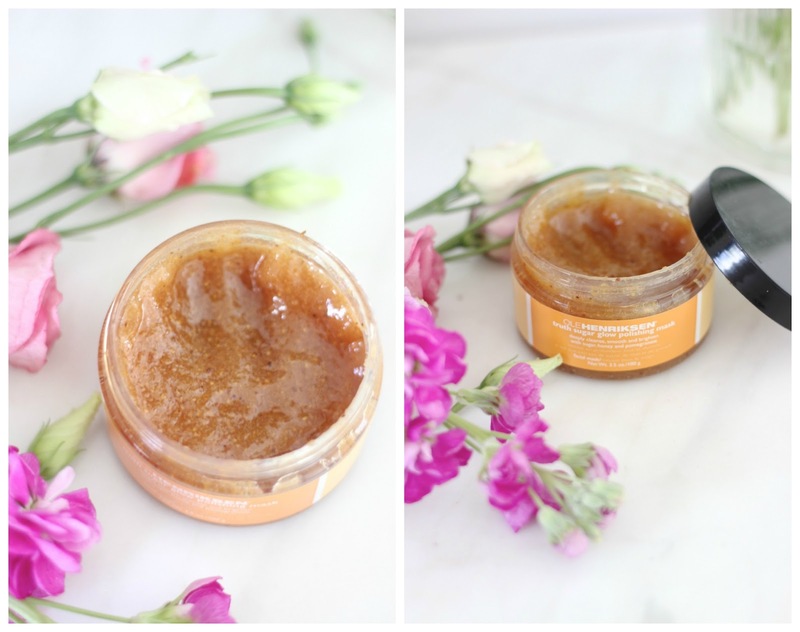 If you're on the hunt for a mask which is going to brighten your skin, smooth, lift away any dead skin cells, and that smells amazing, look no further! A Skincare Routine For That Time Of The Month. Blushes You Need In Your Collection. IT Cosmetics CC Cream: Worth The Hype? 10 Ways To Treat Yourself This Month. Concealers I'm Loving Right Now.